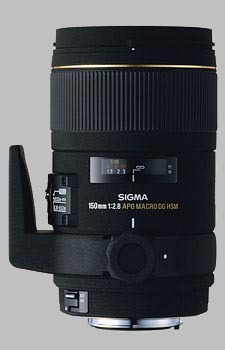 (From Sigma lens literature) This large aperture telephoto macro lens enables you to shoot up to 1:1 life size close-ups. Two Special Low Dispersion (SLD) glass elements control various color aberrations and assure high image quality. Super Multi Coating gives superb color performance while cutting down on flare and ghosting, makes it an ideal lens for digital SLR as well as film SLR cameras. Tele macro lenses have a greater working distance. It is possible to enjoy macro photography, even when you are far from subject. This enables you to capture small animals and insects without disturbing them. Very narrow depth-of-field allows selective focusing and less distracting backgrounds. The large aperture of f/2.8 is ideal for sports, action and indoor photography. It is also possible to use this lens with Sigma 1.4x EX and 2x EX APO Tele-Converter. When this lens is used with the 1.4x EX or 2x EX Apo Tele Converters (optional), it becomes a 210mm f/4 AF tele-macro lens or a 300mm f/5.6 MF tele-macro lens respectively. Sigma has a reputation of producing good lenses at low prices, but with the advent of some of their newer, more expensive optics, they're extending that game plan to the production of very high-quality optics at "reasonable" prices. This 150mm f/2.8 macro lens is an example of this, knock-your-socks off optical performance, good build quality, and a quick AF motor. Read on for all the details. Any way you look at it, this lens is just phenomenally sharp, from corner to corner, even wide open. On our Canon EOS-20D test body, it began to diffraction-limit very slightly at f/11, but is still reasonably sharp at f/16. At f/22, it was softer, but not as bad as we'd usually expect from that aperture, and very uniform. Chromatic aberration is quite low. Not vanishingly so, but better than most zooms, and many primes. Distortion really does get into the "vanishingly low" realm, at only 0.03% pincushion. This really is invisible, for all intents and purposes. Thanks to its hypersonic motor (HSM), AF operation is fast and precise, with a minimum of hunting. a 3-position switch on the lens barrel lets you limit the focus range, with settings of Full (no limit), 0.52m - infinity (for distant subjects), or to 0.38-0.52m, for close subjects. It's pretty common on macro lenses to have a limit switch that keeps them from going all the way to closest focus, reducing AF hunting with distant subjects, but I think this is the first time I've seen a lens that had a similar function to support close-up work as well. I did find that the cameras hunted more at very close shooting distances, but it wasn't clear whether this was the fault of the camera or the lens. They did always find a valid focus point eventually, and the worst hunting was perhaps a second or so at closest focus. And speaking of closest focus, it gets very close indeed. A minimum focal distance of 38cm may not sound like a lot, but keep in mind that this distance is measured to the film/sensor plane of the camera, not to the front element. Measuring from the front of the lens, closest focus is only about 10cm, or four inches. At that distance, the frame width was about 22mm on our EOS-20D test body. The Sigma 150mm f/2.8 competes in a tough arena, there are a lot of very high quality lenses in this focal length range on the market, but this Sigma seems to compete very strongly. In the Canon line, its closest competitor is probably the Canon EF 180mm f/3.5L Macro USM, which we haven't tested as yet. Readers report this lens is very good optically, but very heavy and relatively slow to focus. It's also slower by about 2/3 of a stop, and sells for twice the cost of the Sigma. In the Nikon lineup, we recently tested the Nikkor 180mm f/2.8D ED-IF AF, which proved to be an excellent lens, albeit not quite as prickly sharp as the Sigma 150, and with slightly higher CA and distortion numbers. The Nikon lens sells online for $100-200 more than the Sigma. Nikon also makes a 200mm f/4 ED-IF AF that we haven't tested yet. Readers report that this lens is very sharp, but also heavy and somewhat slow to focus. It sells for more than twice the price of the Sigma 180 f/2.8. For the Sony/Konica-Minolta platform, there's the Sony 135mm f/2.8 (T4.5) STF, that we haven't tested nor have our readers reviewed. It sells for about twice the price of the Sigma 150 f/2.8. At the end of the day, the Sigma 150mm f/2.8 macro seems to offer the best bang of just about anything in its focal length/aperture range. If you're interested in shooting really close-up macro, yet with a reasonable working range, the Sigma 150mm f/2.8 looks to be a really excellent choice. Full-frame cameras generally present greater challenges to lenses, due to the larger area the lens needs to cover. Distortion and other optical artifacts tend to increase around the edges of the frame. This is offset somewhat by the typically larger pixels on the full-frame sensors, which are more forgiving of slight softness and chromatic aberration. On our full-frame Canon EOS-5D test platform, the Sigma 150mm f/2.8 was true to form. Sharpness was actually surprisingly good from corner to corner, even across the larger image area, and the larger pixels helped maintain good sharpness in the face of diffraction limiting all the way to f/16, with surprisingly good results at f/22 as well. Chromatic aberration was very low (thanks again to the larger pixels), and geometric distortion remained impressively low, at only 0.04% pincushion. (Still indistinguishable.) In fact, the only major area where the 150 performed noticeably less well on the 5D was shading (vignetting), which increased to a bit over 2/3 of a stop wide open and 0.38 EV at f/4, decreasing more or less linearly from there as the aperture was stopped down. Thus, apart from more noticeable vignetting, the Sigma 150mm f/2.8 macro turned in a really excellent performance on our full-frame camera body. If you're looking for a longish macro lens for your full-frame body, the Sigma 150mm f/2.8 deserves your very strong consideration. Robust and extremely sharp with a flat field of view. No distortion. Good tripod collar and 3-way Focus Limiter. None that isn't inherant for all macro type lenses. I purchased this lens not long after it was released because of its specifications for the work I needed done which was studio product photography and copying artwork for artists. Since then, it has also become my go-to lens for outdoor corporate portraiture as well as a great combo wilderness walk-around, bird tagging and macro lens. Along with an impeccable build quality, its optical ability has no peer. I've owned a lot of macro lenses in the last 40 or so years and this one might be the finest in every respect. It can play with and outperform the big boys from Nikon and Canon and might be the best of its type made by anyone. This might be a little surprising in that it's from a third party manufacturer, but nonetheless true. The only negative, and this is picky, is the rubber type focusing ring tends to bleach out a little over the years. It might be from sun, wind, and saltwater spray when I've extensively used it on barrier island bird ringing expeditions. It allows me to capture the gull, the tagging ring around the leg, and the number on that tag when that gull won't let me approach too closely. Wipe it down and back it goes to the studio Monday morning. I've used it in this manner on both US coasts, England, The Channel Islands, Portugal and Spain so far. It truly deserves the reputation it has and the cult following that exists surrounding this Sigma 150 f/2.8 APO Macro. If you're an unbeliever, rent or borrow one and see for yourself. This lens has paid for itself many times over and in this regard is only rivaled by my Nikon 85 f/1.4. Truly a superb optic. Sharp. Supergood feel when MF. Needs microadjustment but when you are finished with that cumbersome work you are really rewarded. With that manual fovus and silent HSM you can film very nice macros. You need steady hands or tripod for best results. Kills my Canon 100 mm 2.8 - so I sold it. A good tele and macro lens, with excellent sharpness. Virtually no CA, worth every cent. Can use it as a portrait lens too, and here the bokeh is really nice round donuts. I gave this lens a 9 overall because it lacks vibration control. At this length, VR could make a significant difference-or not. I probably should use a tripod with lens, however, I'm usually too lazy to pull one out. The image quality is phenomenal. I use this lens in a Nikon mount, but it compares favorably to the best Canon lenses I have including the 70-200 2.8II. In terms of macro, I can't tell whether my Canon 60mm or this lens is sharper. What I can say is that the color saturation and contrast are amazing. I'm not sure about the AF. It seemed okay, however, I was more concerned about holding the camera steady to notice any problems. The lens seems to be well made. It's heavy without being too heavy, and the rings turn without any looseness. I see no reason why this lens won't last a very long time. If you get a good copy of this lens, you will not regret it. I have an excellent copy and am very satisfied. This lens is really amazing. I use it since 2007 and I can say that plays very close to legendary lenses like my Leica 100 elmarit, very close.. It costs so much less. Coming from an old 105mm Micro Nikkor AF (not -S), I like the possibility yo adjust the focus together with the AF. AF is precise and fast, in mid and long range, but only precise in close-up. Optical quality is very high, with a great definition together with a very nice out of focus (bokeh). Colors are quite shifted to Magenta (like every other Sigma lense), compared with the Nikkors. This lens have just a little CA, and the flare is restrained. I consider this lens one of the best choiches for marco and close-up, and a good choiche for portrait and even landscape. Less flexible than a 70-200/2.8, but lighter, I think it'd be a better choiche for many photographers. This lens make you think sigma is the best lens manufacture in the world. Its very affordable due its quality. In aps-c sensor you can use as short telephoto also. Macro shots its awsome, but i found a very good use to portrait and long distance shots. This thing is awesome for close-up work. I bought it used from Adorama and it is just fantastic. Maybe I will look again to the Sigma EX line for my next investment. Initial results were disappointing. A line of trees was a blur. A second look showed that the grass in front of them was sharp. I was a victim of the dreaded Sigma front focus. Mercifully I had a canon 50D, and a full +20 of microfocus adjustment solved the problem, although I could have done with a bit more. My new 7D with +20 seems better. When I focus on a tree the front leaves are perfect as before, but the back leaves are better. A bit of back focus? If so I like it. You may be focusing on the front of a duck, but you are hoping that all of it will be sharp, and even on a duck the range of perfect focus is a few cm. On a dragonfly it is a fraction of a mm. Sigh. The 7D autofocus can get confused. When moving from focusing on a dragonfly to a distant shot of a swan it just gave up! This is when the full time manual autofocus comes in. The shift from macro to teli is best done by hand. One quick turn and then let the autofocus take over. It's very fast if it doesn't have to travel far. I love this lens. It is mostly the focal length. The flowers that I didn't have to stoop for, or trespass over flower bed borders. The dragonflies that didn't notice. The close up of a duck with 6 fluffy ducklings (a 100% crop of the ducklings showed no noticeable blur). The speed of focus that let me catch a fleeing grass snake (swimming on the Thames) made my day! This is going to be my number 1 lens until such time as somebody produces an affordable macro with the same sharpness and fast focusing with ether significantly longer focal length or image stabilization. It could be a long wait. What an excellent lens! Though it is nothing new, I must add my name to the list of those singing the praises of this macro lens. Pretty much regardless of aperture and subject distance, you are guaranteed to get a superb image from this lens, with impeccable sharpness, clarity, bokeh (where applicable), and very low optical distortions. There is nothing bad I can say about the optics of this lens. It does just as well at portraits and landscapes as it does macros and product shots. The AF mechanism is the only slight letdown of this lens. For macro, the average speed is not a big deal, but for general telephoto use, I wouldn't mind it being a bit quicker. Otherwise, the physical attributes of the lens are all very well done, including the removable tripod foot. Unless you feel that a fixed lens in this focal length class would be too limiting for your uses, there is no reason not to buy this lens. This is a good value lens. It doesn't have the REALLY solid build of a Nikon 105VR but its not bad. I don't like the unique Sigma velvet finish as its seems hard to keep clean. Like any macro lens macro focusing is slow -but then compare its performance from 1.5 metres to infinity with say the Nikkor 70-200 and its fast...this is a more realistic test of focus speed and in this regard its as fast as any other lens I possess although I have yet to try its performance when tracking a subject at long distance. (I suspect that SWM / HSM lenses are quite susceptible to focus inaccuracy anyway - for tripod use focus manually its less hassle) it also shows some reluctance to auto focus on the last few millimeters down to 1:1 but I suspect that's down to lens shake when not mounted on a 'pod. Sharpness wise its good: its very slightly soft at F2.8 but improves until it peaks at F5.6 - but we are talking fractions here - its more than adequately sharp at F2.8 and this is a realistic aperture for portraits on landscape where its ability to produce great OOF comes to the fore. I have seen unattractive OOF but this was at F8 - generally I would say its excellent. At 1:1 Macro mode it reports its aperture wide open as 5.6 - this is normal I guess. Even at 2 meters its F3.3. At 1:1 its reports its min aperture at F45 - and stays reasonably sharp here too. I use this lens along with a Sigma 105mm macro. The 150 probably just has the edge in sharpness but its effective depth of field is notably smaller, which makes it harder to get focus where you want it. The 150 definitely copes better with being stopped down for more depth of field, with little diffraction limiting. I tend to use the lens for macro only so use manual focus but the HSM does give it good focus performance for telephoto and other work. The focal length gives useful working distance for bugs at 1:1 and makes it a great dragonfly lens for lower magnification work, where extra reach means less chance of spooking them. Being able to add the 1.4 teleconverter is a big bonus as you get 1.4x extra magification for tele or macro work. Owing to the effective focal length of over 200mm on crop frame you have to watch your shutter speeds in the macro range as its easy to get shake which softens or blurs images. Its good to use short duration flash to help alleviate this (get the flash close so it fires at lower power and short duration). Even at max sync shutter speeds of 1/200 or 1/250 it is possible to see motion-induced blur, so I tend to use a bamboo cane as a versatile prop to grip and add stability when chasing bugs about. A great macro lens with no real cons at all. my lens is front focussing.. I have it now for some years in my bag, and I have to say that I'm always pleased to see its performance. For the moment, I'm experimenting with this lens and a 2.0x converter from Sigma. Thanks to the great sharpness of this lens, even wide open, you can almost use the 2.0x tc wide open. The only weak point on my lens, is its front focussing. It is not much, but in tele use, you will not be right on the point you wanted to focus.. The speed of the AF is for me ok. You have to keep in mind, that it moves heavy glass through a long way, as every macro lens. A long macro, with a decent range, exceptionnal image quality and a very attractive price tag. This lens is a true gem!! Spectacular image quality at most apertures and ALL distances, fast focusing (HSM), well built. tripod collar very useful, perfect size and balance. I could not have been happier, the pictures are amazing!!! It's just a great lens. Nothing else to say!!! After reading many reviews from various sources, finally I purchased this lens a month back. Trust me, I was not disappointed and it came out to be more that I expected. my first time into macro photography and on a tight budget, I think I made the right choice. the best deal is that it comes with a tripod collar which is extremely useful. I plan to purchase the Kenko extension tubes kit next to try out extreme levels of macro. I can't say enough about this lens' image quality. The size and weight are about right too. I use this lens on a Canon Rebel xti. I recommend getting it from B&H or Amazon. It's a large lens, yes, but smaller than other f/2.8 lenses of with similar range. It is even small enough to fit in my little Lowpro Slingshot AW200 Bag while still attached to the camera. This lens is a lot of fun to use! It's like having a telescope and a microscope attached to your camera at the same time. Great for use indoors (low light) and outdoors. This is good to shoot, portraits, family moments across the room, or maybe a wedding. It's not just for bugs and flowers. However it is really good at bugs and flowers, and they are surprisingly fun to shoot. For image quality.. the test results above speak for themselves. It is a bit of a challenge for a newbie to place the narrow depth of field at f/2.8 correctly all the time, but its a fun and rewarding challenge. The motor is fast, and very quiet, however this is a macro lens so fast is a relative term here. The focus ring must rotate a full 270 degrees to move the focus from 1:1 macro all the way to infinity, so it takes a bit more time than you may be used to on non-macro lenses. I like the build, it feels like this lens will be sturdy enough to be a longterm investment. It's kind of expensive, but that is also relative... it is a great price, comparatively, for a lens of this quality. Close to be a perfect lens !!! Its construction is perfect. Good weight and focus ring iseasy to use. Image quality from this len is very sharp even in the widest apeture. The sharpest image may be at f/5.6 but f/2.8 give me the impress one. AF is fast and accuracy, nothing dissapointed. Hood and collar, even lens bag in a box. Macro is fine and the bokeh is pretty nice. It's worth for every baht I paid. this has to be the best macro of this focal length I have ever used. An amazing lens. highly recommend. even with the sigma 1.4 its results are excellent. My only bulldog-lens (I call the lens "the thick big Bertha!"). Strong optics, good handling - a lens, who is worth every Euro u Dollar. Sharpness is exellent, nice bokeh, no weekness at all - but handle this monster carefully..... the insurance-company will not pay frontcrashes!!! Everything said about this lens is true. Super sharp, great color, contrast, bokeh. HSM focusing is very quick and accurate. Build is excellent. Even the tripod collar is removed easily. Tamron 180 - no HSM/FTM and almost twice as expensive where I live. Canon 180L - good lens but too expensive for me (though weather sealing might be nice to have for some). If I were on Nikon I would have considered the 100mm just for the stabilization sake, but my equipment is canon. This is one of the best lenses I own. I mostly use it as a "normal" tele lens on my D200, much more rarely for macro. I bought it for I wanted a medium-long fast tele lens, and zooms are much bulkier and no as sharp (yes even the 70-200 2.8 VR) and of course much more expensive. This lens looks truly well built, sturdy metal with a pleasant (for my tastes) finish. The AF is rather fast and truly silent, with a pleasantly damped ring for manual focus or AF retouch. The tripod collar is a nice plus and is easily detachable. The lens is overall compact and nice to handle, and its length does not vary when focusing. It is a very pleasant lens to use. But more important, this lens is extremely sharp already from 2.8, and has negligible chromatic aberration and purple fringing. It beats the Nikkor 70-200 2.8 VR in all these fields ath the same focal length. At 5.6, I would say, is already exceeding what the D200 can resolve. Contrast is always very high, some flare can sometimes creep in if sunlight falls on the front element, using the hood solves the issue. I bought this lens to replace my previous Sigma 105 mm maco - the snail-pace autofocus with the extending lens was driving me mad. The 150 mm Sigma is much better in this regard, although it still often hunts - but that is to be expected with a macro lens. The greater working distance is a boon with bug photography. The image quality is great, just as with all dedicated prime macro lenses. In this respect, it's not better and not worse than the old 105 mm lens. I am very happy with this kind of glass. It is very sharp, same compared to Tamron90, and much more silent. It is inner focus operational, so you will not afraid of been captured by your creature while you are trying to focus on it. The second thing i like very much in par with tamron is the 150mm. Combined with the inner focus and you have a winner. I much prefer this lens, although i will not give my legendary Tamron 90mm. But for macro, wild life job it is the best you can get. I did a lot of research before purchasing this lens. I read the reviews on a number of macro lens. I already owned a AF 60mm f2.8 Nikkor, but it at time didn't allow me to get close enough to bug and or small moving creatures that I was trying to photograph. This len does that. I almost purchased a Nikon AF 200mm f4.0, but I like the f2.8 speed that this Sigma gives me. All in all it is a very good lens. Plus I like being able to remove the tripod collar. Excellent lens, period. It's a great focal length on a crop camera, and it is super sharp. The focus is smooth and somewhat snappy. But if the light is low, then it hunts. If it can't find the subject, it will just stop at one of the extreme ends of the focal range. The focus limiting switch does help, as well as setting the focus manually near the subject first. In most cases this will not be an issue, as I only notice it when trying to catch moving subjects (Kids) indoors. For tripod work, bright active shots, and macros it is excellent. I purchased this lens right when it came out, back in 2005. I have used it very heavily and love it to death. It is the wisest lens purchase I have made to date. It beats the new Sigma 50-150 f/2.8 DC AND the Sigma 70-200 f/2.8 DG Macro by a long shot for sharpness close up. And as an added bonus that most macro lenses lack, the Sigma 150mm is sharp all the way through infinity, not just close up. All in all, very lettle to complain about. Excellent build and tripod mount, hood included in a nice pouch too. Collar is easy to rotate. Slightly soft at 2.8 (not much though) and gets really sharp with each stop down. Working length is great, makes a nice medium length tele and has great bokeh, focuses fairly fast for a macro. It can hunt in low light, but all macros do this. Internal focus is a bonus because the lens does not extend. Can be used for excellent portraits from a distance. Probably one of the sharpest I have used. The only complaint is that it is slightly heavy and I found hand holding difficult. Highly recommended for the price. If you're looking for Macro abilities, this is an awesome lens. This is my first prime lens in this range, but I mostly purchased it for its macro abilities. I had some debate between the 100mm and the 150. The extra 50mm allows you to stand back a bit further from your subject, good for bugs that scare easily. But, at the same time it makes camera shake even more apparent when hand-holding. But with calm composure and a little practice, hand-holding it will produce excellent images. Focus can be a little slow, and may hunt now and then, but it isn't horrible. CA is barely noticable in my opinion, and usually not worth fixing in post-processing. I got this to "complete" my macro lenses (100mm and 50mm) for the times I need more working distance. This lens is relatively lightweight for the specs. However, for the safety of the working distance you lose out on DOF (it's much shallower) so you'll need to stop down to get more things in fous - which means you'll need to be working in good light to handhold this lens. This is especially moreso in an APS-C DSLR. It is an excellet lens when it comes to IQ, which is to be expected from a "true" macro lens such as this. As with many macor lenses, AF is slow (because of the working range). I have the oportunity to use this lens a couple of times with small critters, and due to the long working distance, I do no disturb any aminal at all. The optics are superb, so the contruccion. Is a lens I recomend for small macros at a great working distance. This is my favorite lens by far! The first thing I noticed when I received this lens was how impressive the build quality was. Its got a good heft to it and the Sigma black matte finish is a nice change from the shiny black Nikon does. Its softer to the touch. I also like the gold accents Sigma used. Nothing about this lens feels cheap except for maybe the lens caps. As for the optical quality and clarity, I would say it is as good as my Nikon 50mm 1.8D prime lens. A lot of other owners of this lens lament on how slow it focuses. This is greatly offset by using the focus range limiter switch. I only notice the slow auto focus in macro shooting. But I usually manual focus so this doesn't bother me at all. This lens is PERFECT in all respects (I use it on my Nikon D200). If you are at all interested in macro photography, get one. This is an excellent lens. Very high resolution from F:2,8 even at borders .Distortions are very low ( no visible ).Vignetting is very low too. Chromatic aberrations are exceptionally low. The bokeh is very smooth. Construction quality is very good. The HSM AF is near silent ( focusing speed could be faster) . Good tripod collar. I bought this lens over Canon's best selling macro 100mm and expensive 180mm. The longer focal length makes it easier take pics w/o disturbing your subjects and also allows you to have more blurry bokeh. This lens also comes with a tripod color, which allows you conveniently change from vertical to horizontal, and it adds stability with your lens better balanced on your tripod. It is a little slow to focus, but since you will most likely be using manual focus a lot of the time anyway, this is not a big problem. This is my favourite lens. It is super sharp and I find the focal length to be ideal for macro work. Shorter lenses are too short for bugs, but longer ones are too long for larger things like butterfiles and flowers. It is very well built and handles beautifully. The lens collar and foot are great for switching to a vertical orientation without having to reset your tripod position. This lens works great with the Sigma 1.4x TC for even more working distance or magnification. excellent lens for my FF and 1.3 crop. allows me the room to shoot and light rather then being right on top of the subject. one of sigmas best products. gives canon a run for the money.